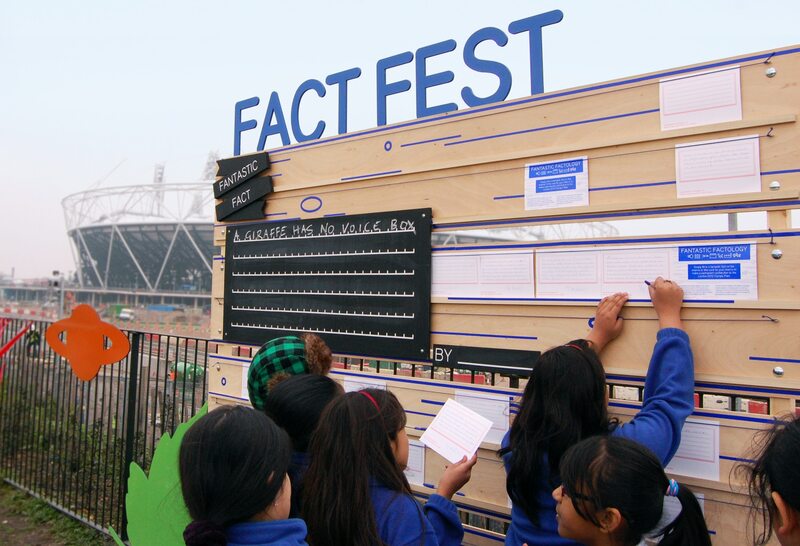 Fantastic Factology. 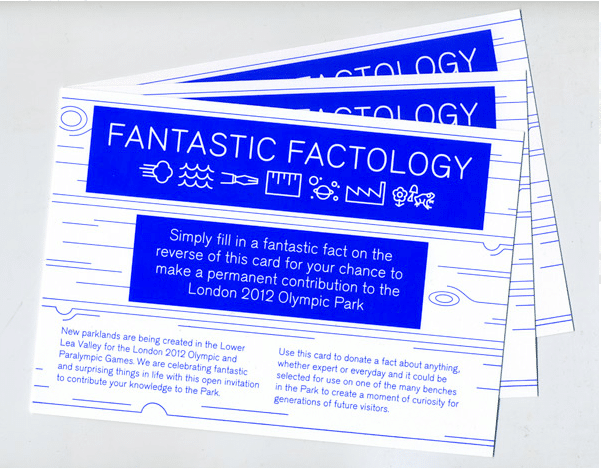 Part of a series of commissions for the London 2012 Olympic Park. 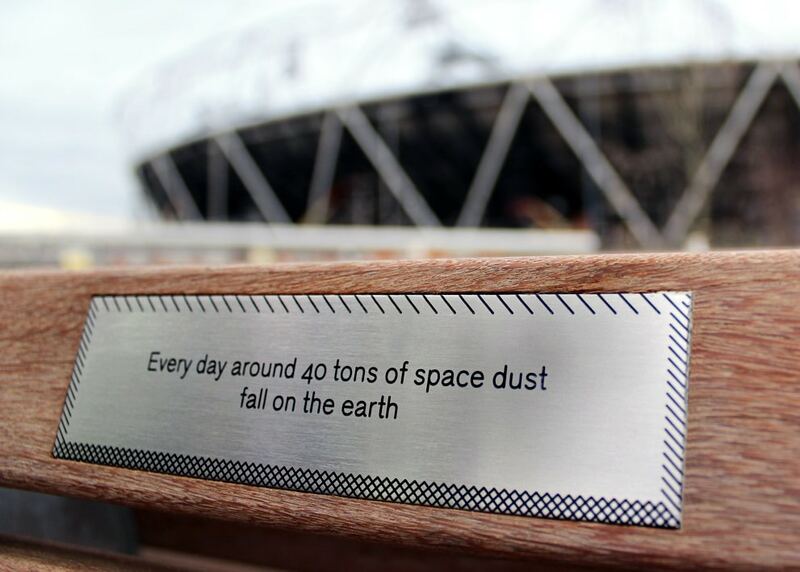 A series of 56 bespoke stainless steel & enamel plaques were installed on benches distributed throughout the Park each displaying a fact. 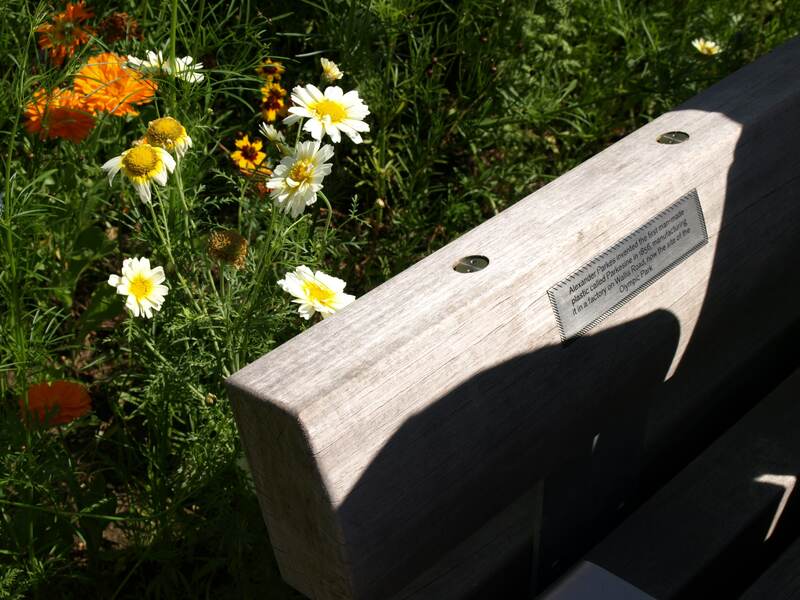 A programme of structured workshop events held on the nearby Greenway and at Stratford Town Hall were central to the generation of content for the plaques whilst also acting as a means to encourage local engagement and a sense of ownership of the Park as whole. Alongside the physical events, submissions were accepted via a specially created website & postcards from a range of invited specialists. Nuggets of knowledge, from astrology to zoology, that draw on the broad experience of the local community. 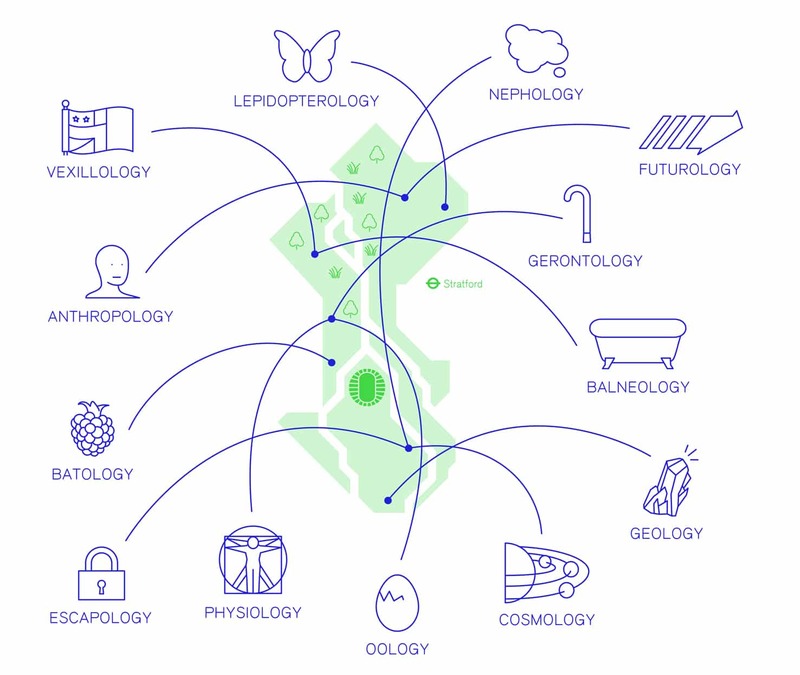 The facts are broadly categorised into Natural World, Distance/Measurement, Local History, Aquatics and Miscellaneous and installed in locations that promote a relationship between each specific fact and it’s physical. 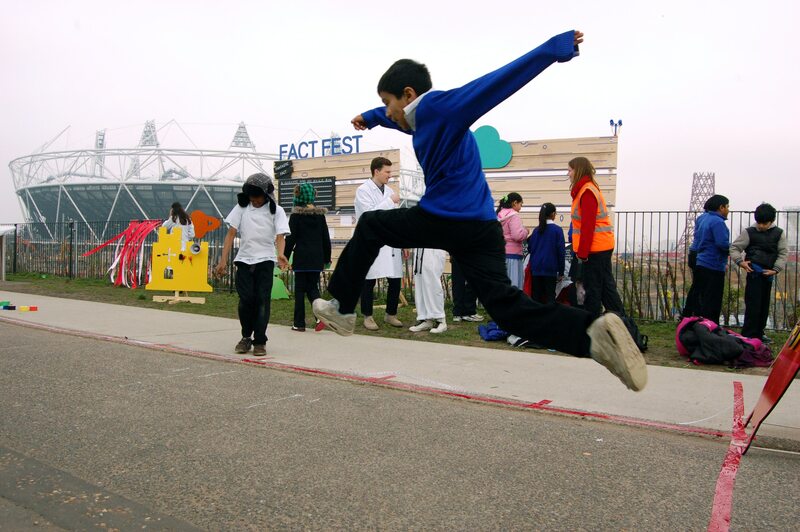 Exciting, bewildering, informing and inspiring visitors to the Park for years to come.